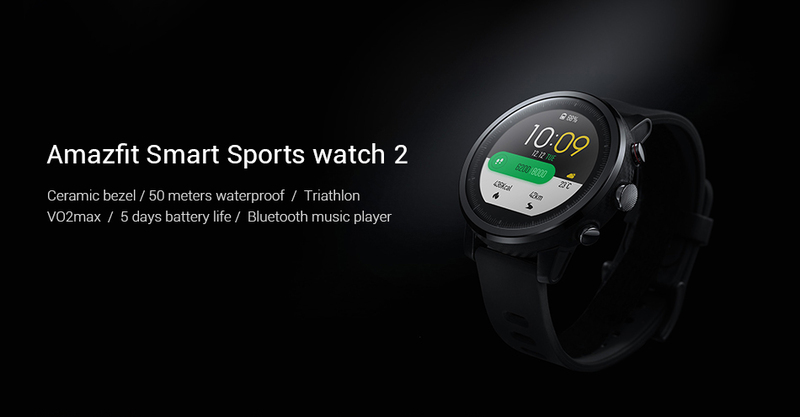 With the new Amazfit V2.0 or Mi Fit,you can connect the app wih the smartwatch,sync data and can look over activity data and exercise in the daily life, update all the data to your smartphone. 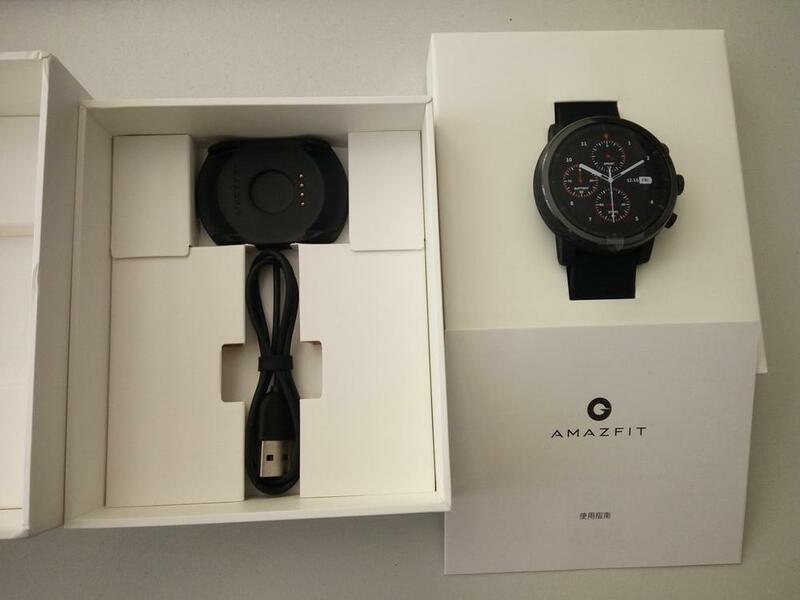 *Each order will be sent with 2pcs free protector films and one free strap for Amazfit watch 2! 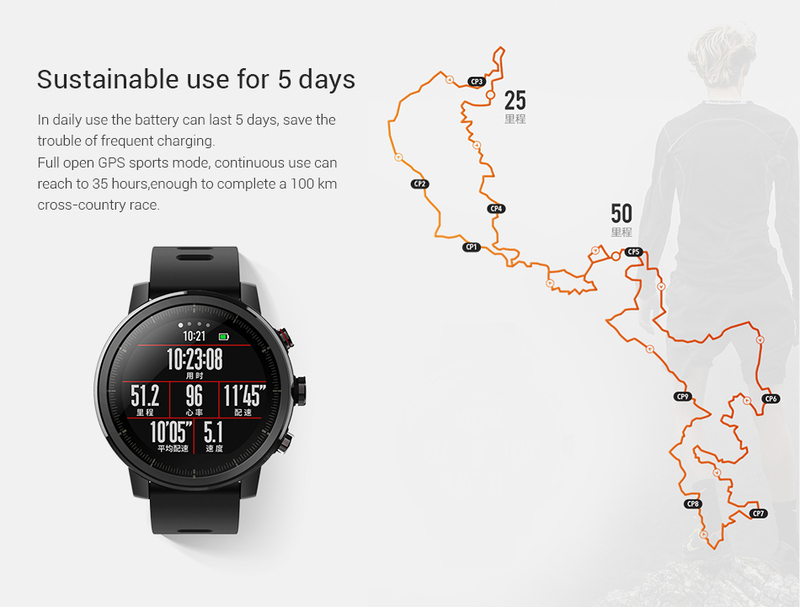 In daily use,the sustainable use of 5 days,save the trouble of frequent charging.Full open GPS sports mode,continuous use can reach 35 hours, enough to complete a 100 km cross- country race. 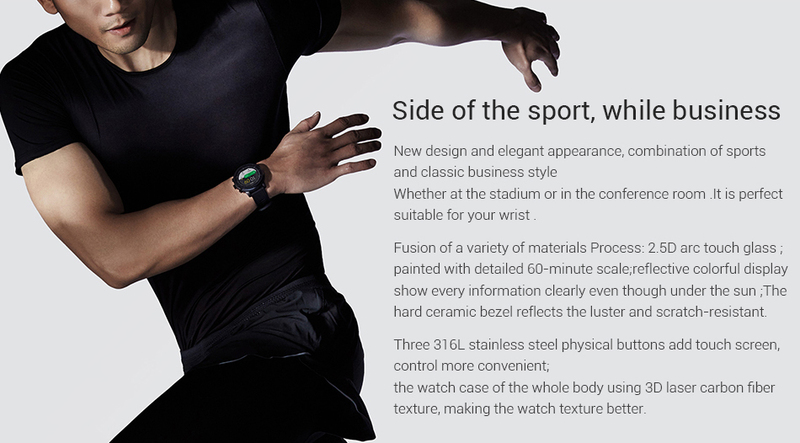 (currently only supports Android version and some MI products); wear Bluetooth headset,you can run while listening. 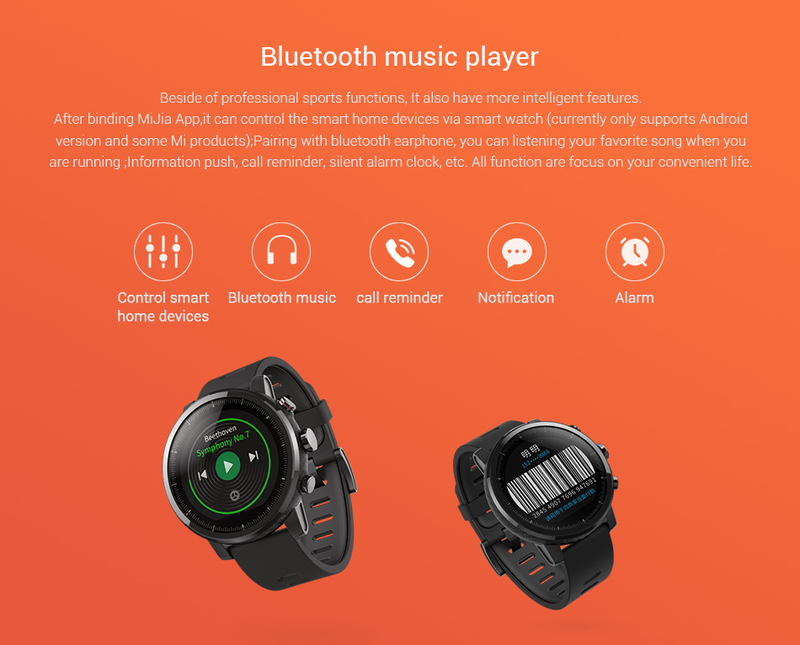 Your favorite song;information push,call reminder, slient alarm clock,etc.are very convenient. 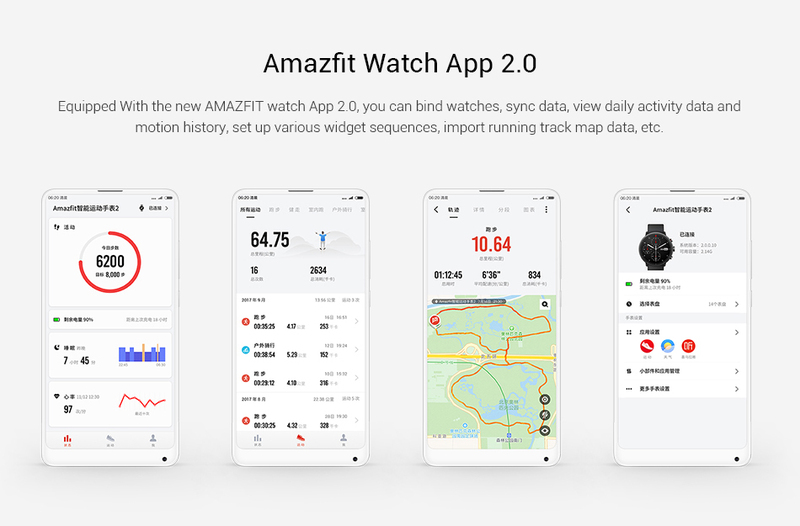 With the new AMAFIT Watch app 2.0,you can bind watches,sync date,view daily activity data and motion history,set up various widget sequences,import running track map data,and more in APP. 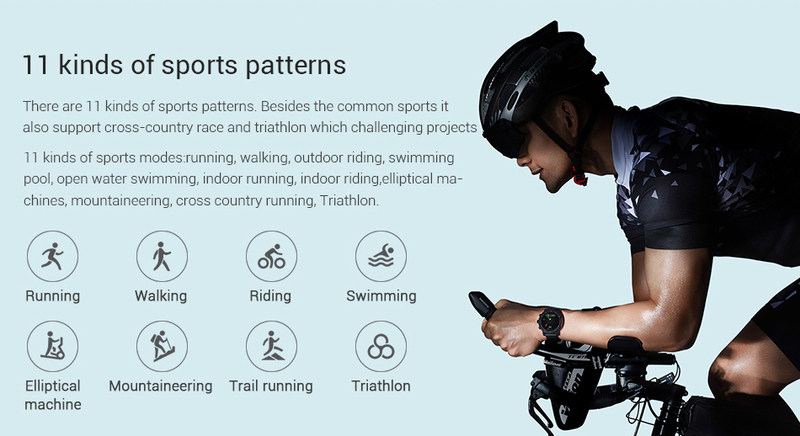 In addition to synchronizing the exercise data to the xiaomi exercise,it now supports third-party apps such as Yue Run. 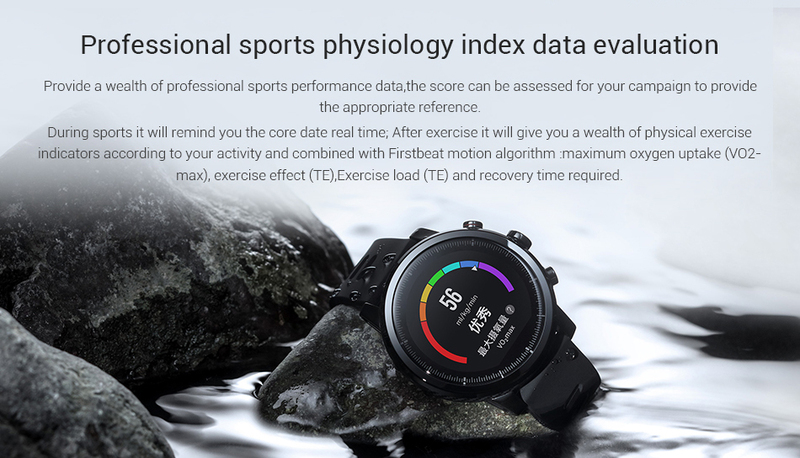 Firstbeat Health Data Tracker : Maximum oxygen uptake(VO2max), Exercise load(TD),Exercise effect(TE), Recovery Time. 1. 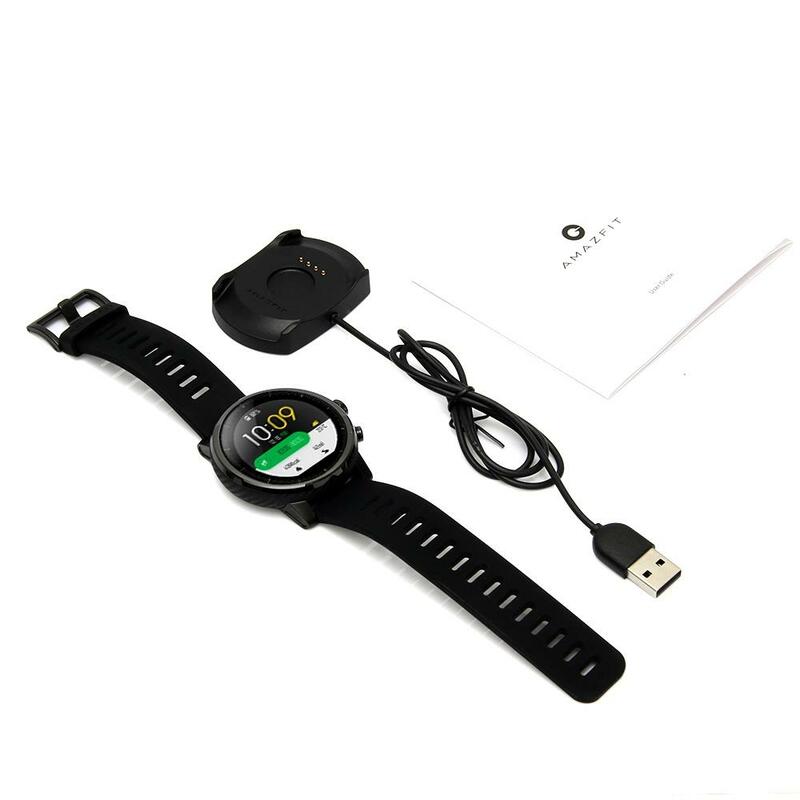 According to GB / T 30106-2013 / ISO 22810: 2010 standard, waterproof up to 50 meters, passed the National Quality Supervision and Inspection Center for Testing, report number: QT1711018. 2. 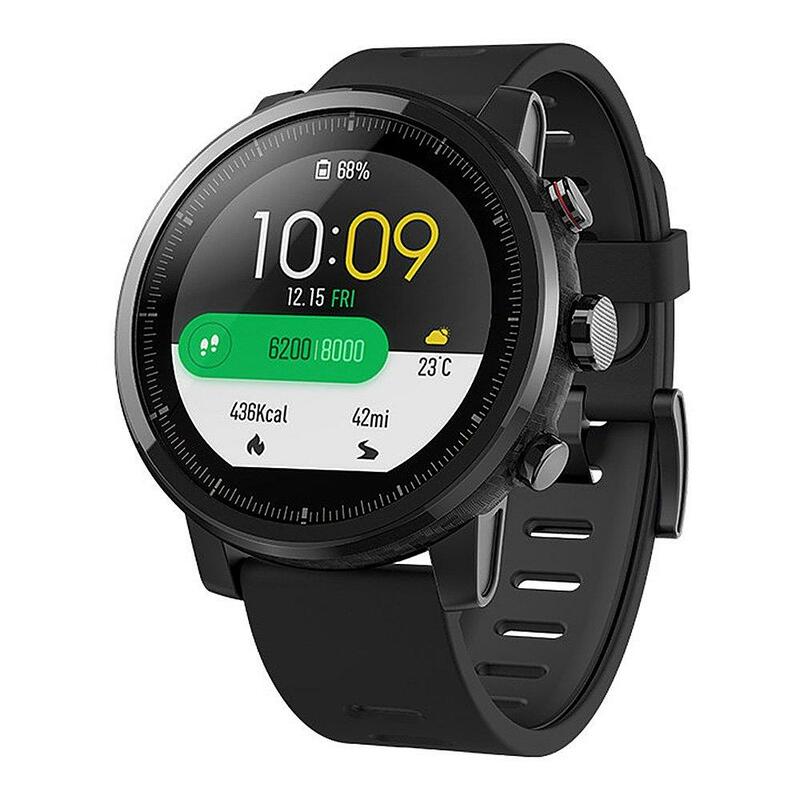 5 days battery life test conditions: the use of the factory default dial, Bluetooth connection, running 30 minutes a day, pushing 200 messages. 3. 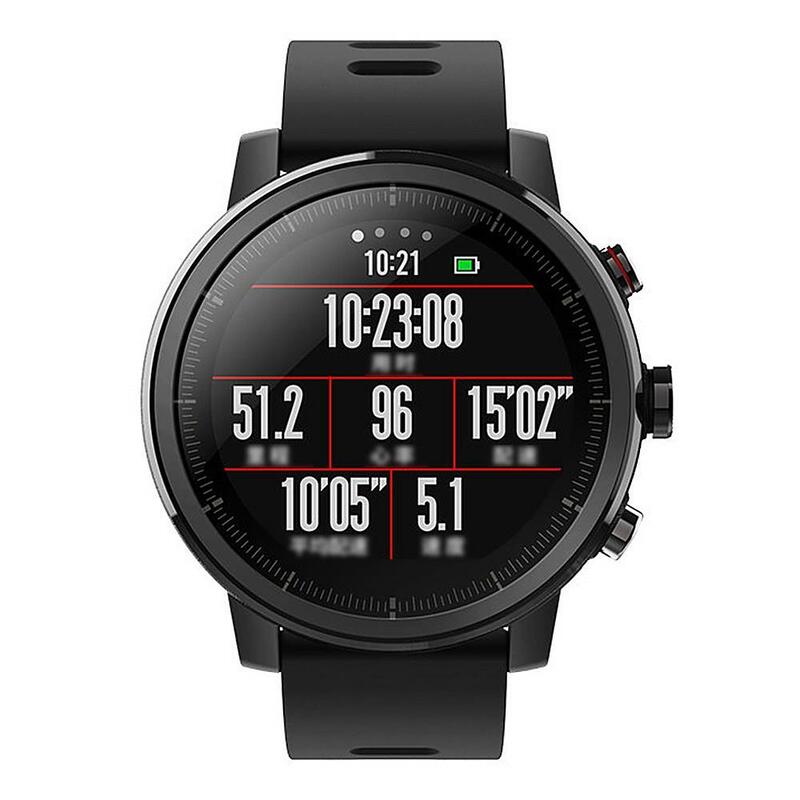 35 hours battery life test conditions: the use of the factory default dial, turn off Bluetooth connectivity and communications, running GPS mode, the whole point to remind the function. 4. pressure sensor to reflect changes in altitude. 5. 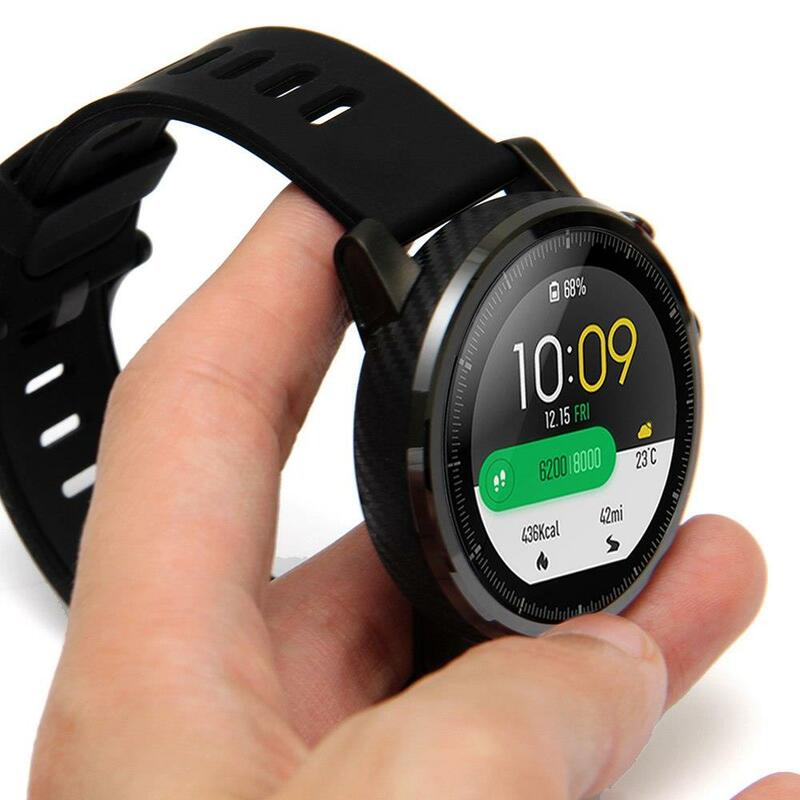 In actual use, the battery time and setting, operation and use of the environment and other factors, may be different from the laboratory data. 6. 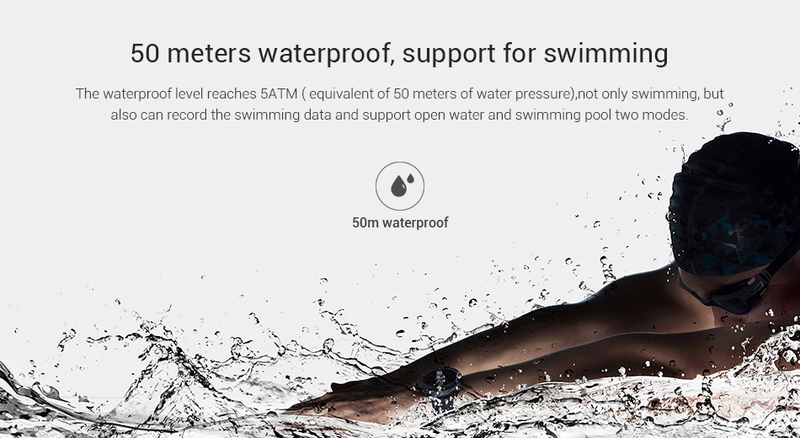 Leather strap is not waterproof, do not touch the water. 7. The product strap material has passed the biocompatibility test, but does not rule out individual users due to special physical conditions after wearing the device caused by skin discomfort or allergies. 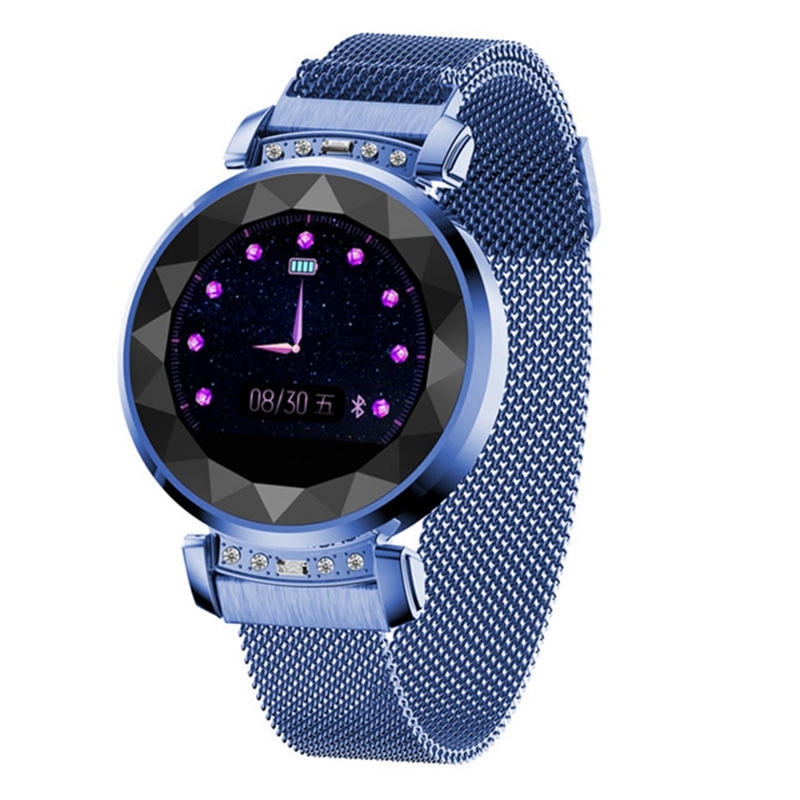 Remove the device once the skin of the wrist begins to appear reddish or irritated. If the symptoms have not been relieved for more than 2-3 days after removing the device, contact your dermatologist. 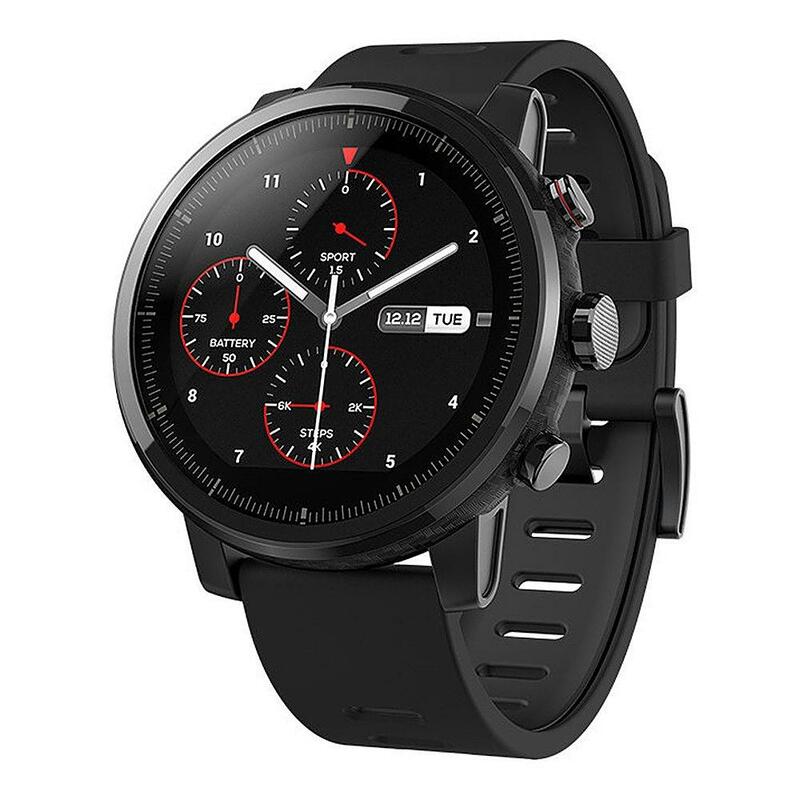 * To prevent corrosion of the watch charging end, clean the equipment with water (especially after water sports activities) and wipe to keep it dry and clean.